We received a Just Add Color Mega Pak in exchange for this post. All opinions and our love for fun remain our own. We decided to take a break and have a fun party with Just Add Color. The kids are keeping insane schedules with school, extracurricular activities and more and I thought they could use a little play! The Just Add Color Party Mega Pak comes with everything you need to have an incredible party. A great guide full of ideas to have the best party ever. My kiddos love to play outside and that play outside gets 10x more fun with color! 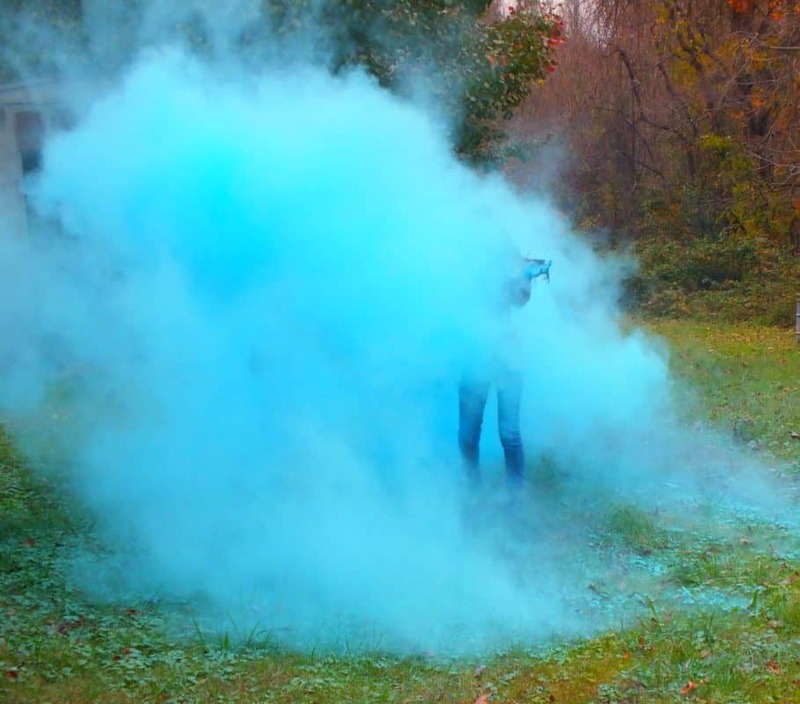 Add colorful powder games, color dances, crafts and photos and you have the makings for one outstanding experience! 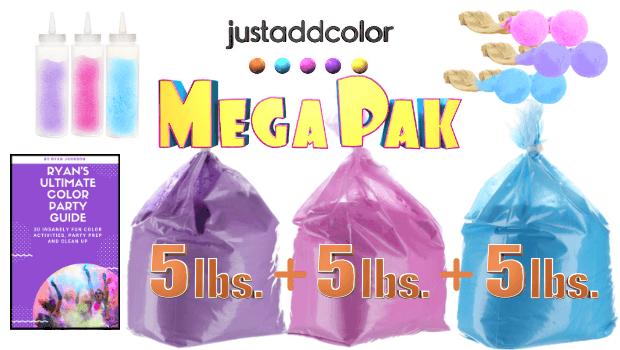 Get One-Time-Only Discount, Two Color Blasters (For FREE), Money Back Guarantee and Shipping (For FREE) When You Purchase Your Just Add Color Mega Pak Right Now! We did not use the Golden Ticket invites. They are fun with shiny gold paper on heavy card-stock. It's a nice touch. My up-for-fun kiddos couldn't wait to get the party started. We started with Before pictures and the Color Blasters. 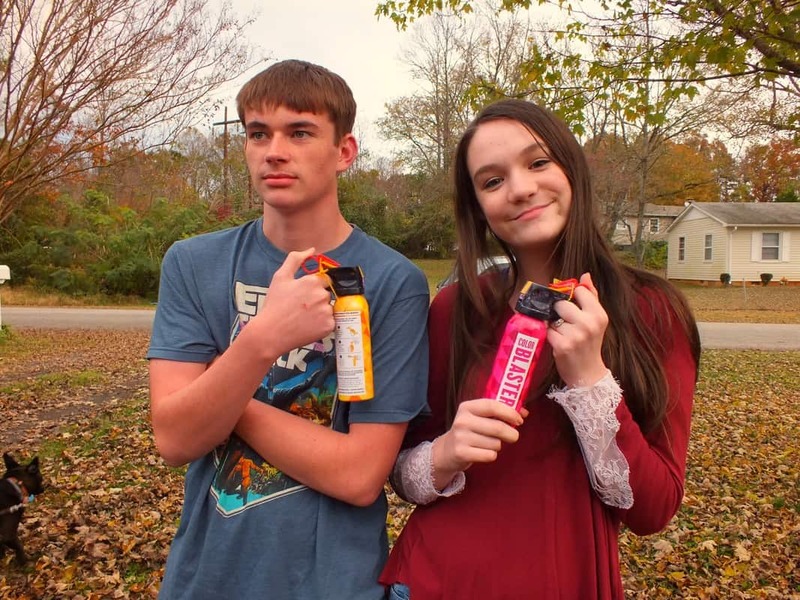 These are cans with a trigger spray. They work like a fire extinguisher. 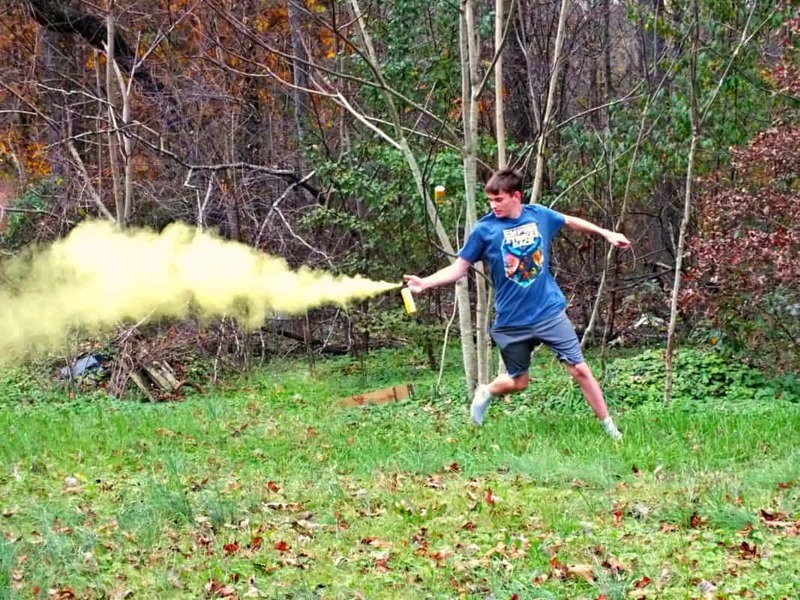 We received one yellow Color Blaster and one pink Color Blaster. 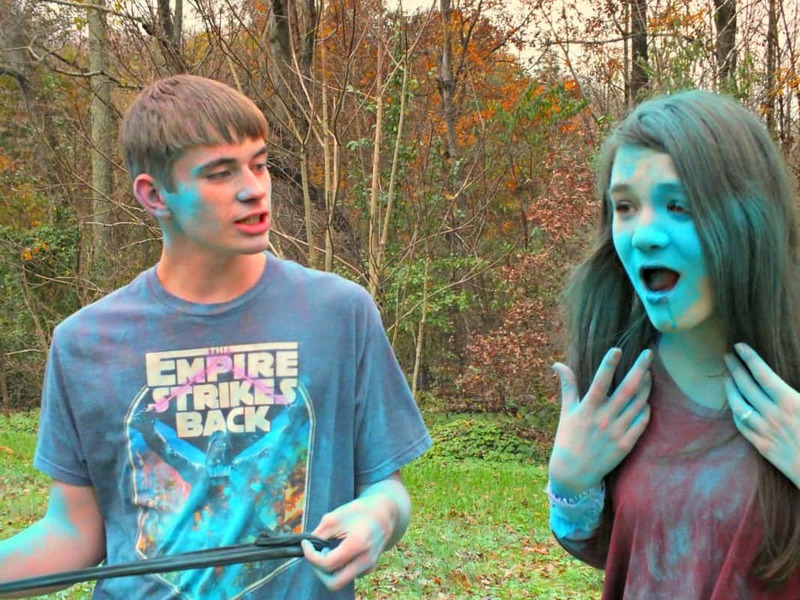 After my husband gave them instruction on how the Color Blasters work, they were ready for their color bomb war. 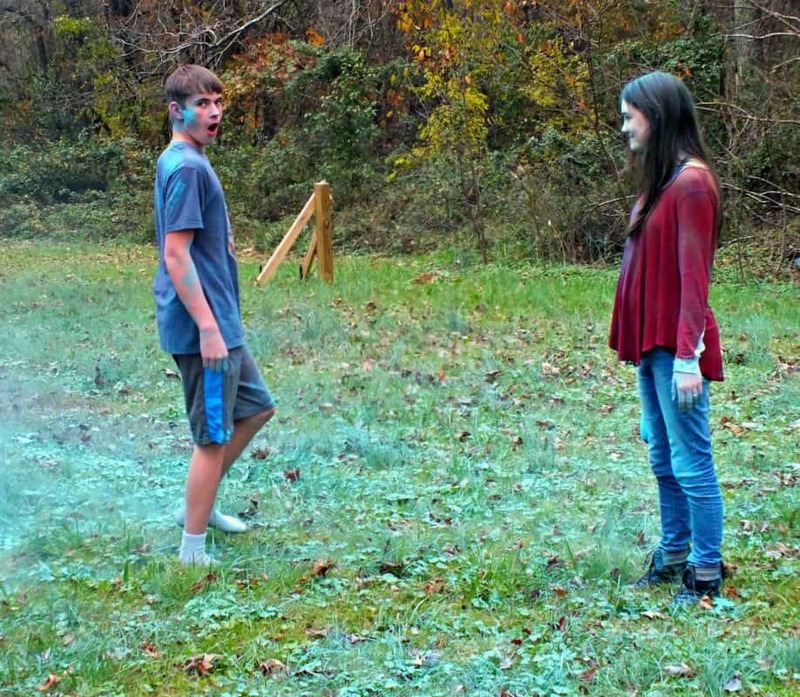 The Color Blasters have incredible reach and are easy to operate even on the run! 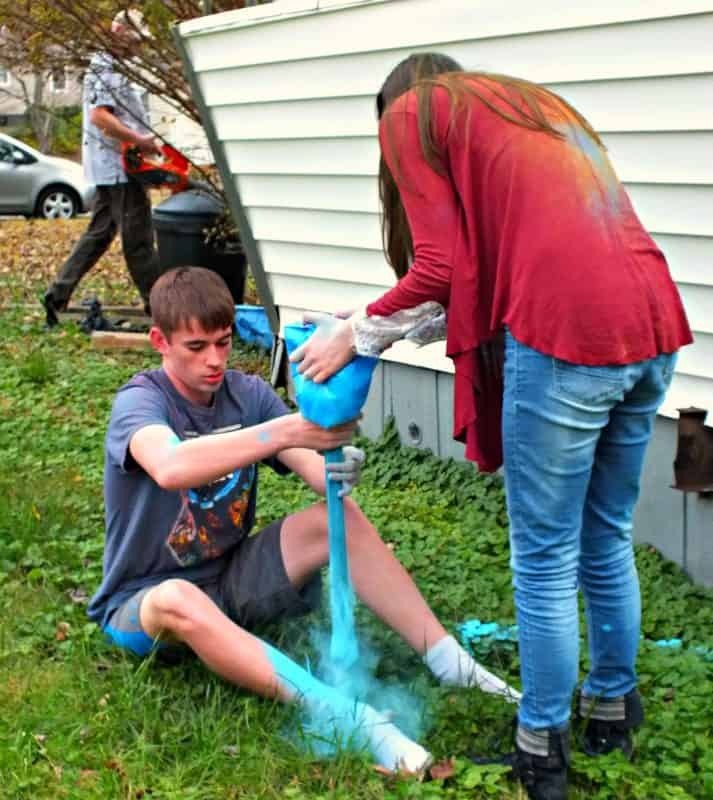 The Color Blasters had great stamina. 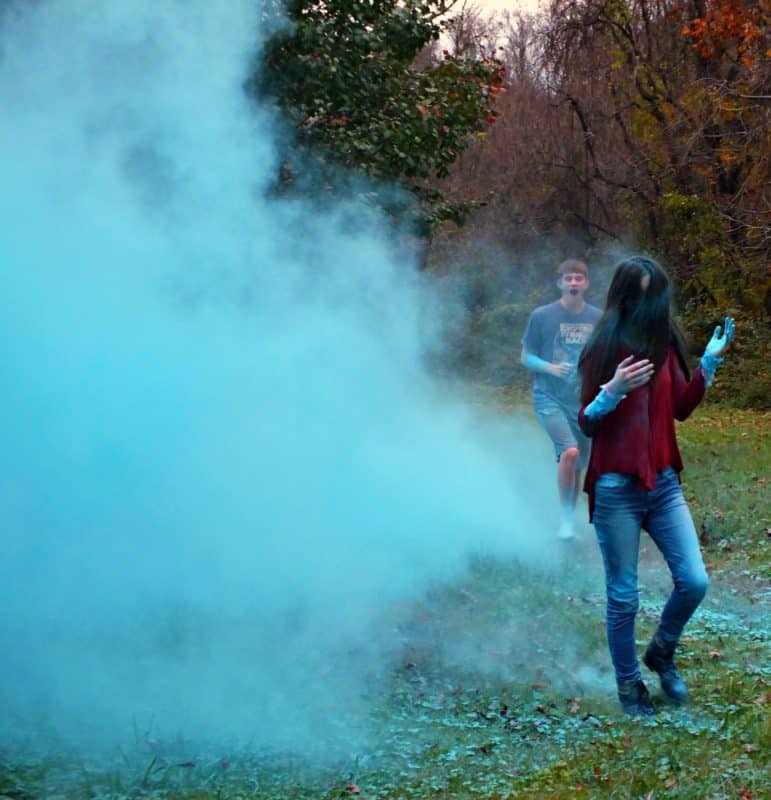 The kids chased each other and released the powder for a good while before they finally sputtered out of colored powder. We took an AFTER photo. 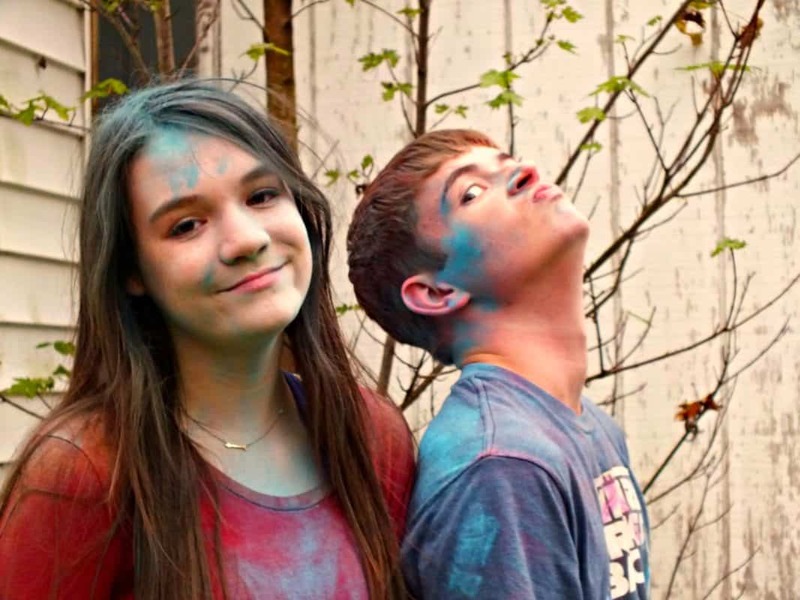 They didn't want to stop...and they certainly didn't feel they were colorful enough to have called this a party. So? they opened the 5lb. 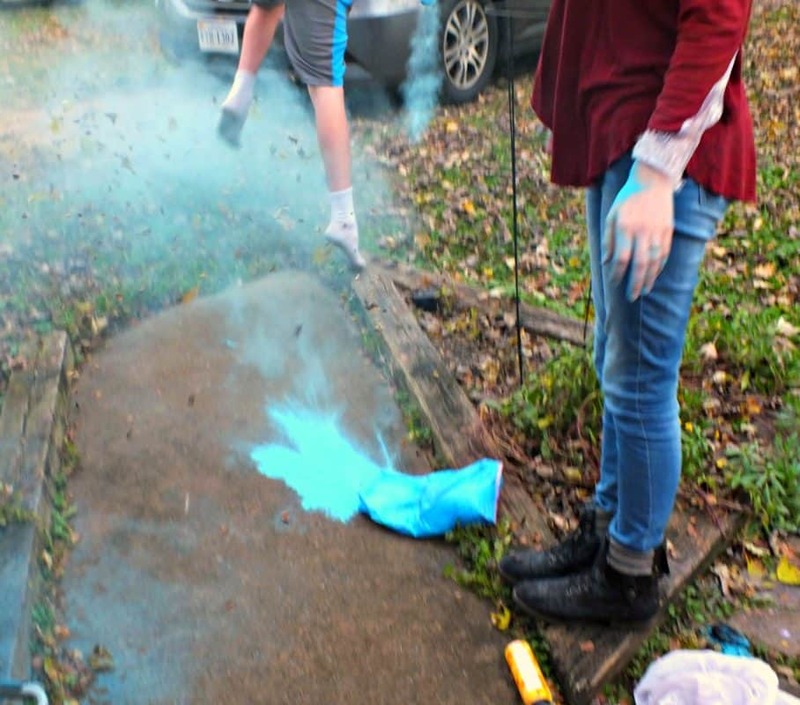 bag of color powder and began filling stockings. 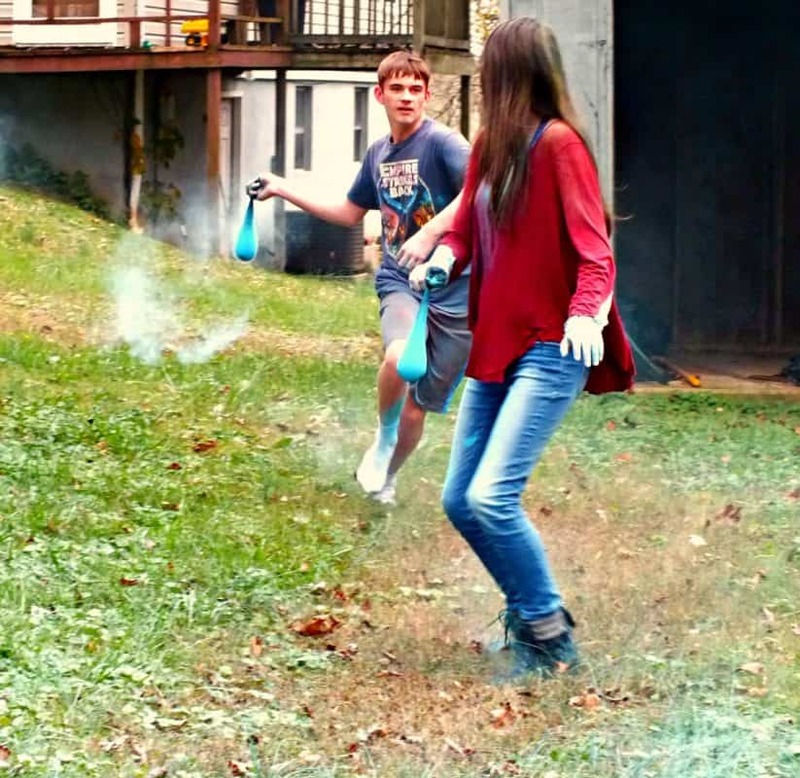 When they sat the bag down, my husband was sneaky and blasted them with the blower. Once they each had their filled stocking, they faced off. 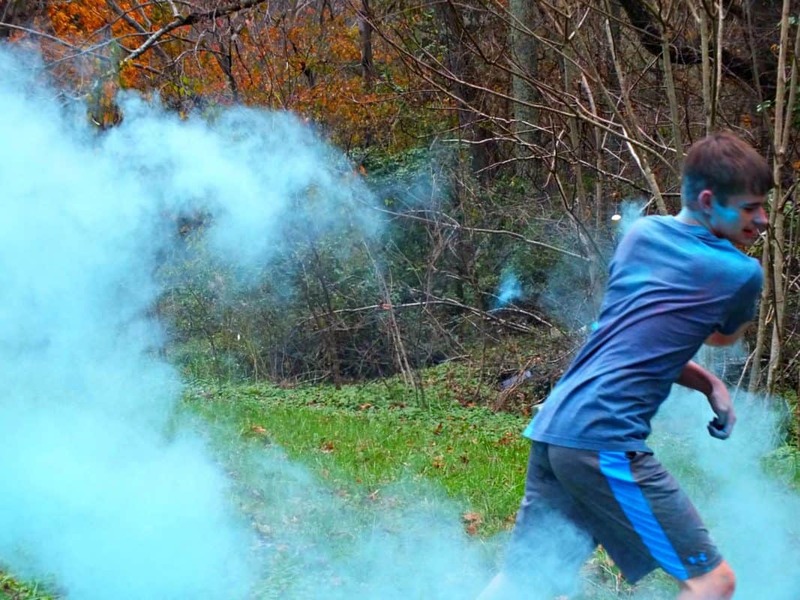 Immediately there was a trail of blue color. They swung at each other. Chased each other. They would chase and splat one another until their stocking was empty and then refill. The stocking color lasted through many whaps! and splats! There was plenty of action happening. Their most talk about battle, however, happened like this. They took a few minutes to really load their stockings. They worked together and made sure they were "equal". With loaded stockings, they stepped out into the battle field. The grass was a hue of blue from previous battles. They waited for the countdown. One after the other they swiped and blue trails filled the sky. I couldn't keep up with where they were as the world between the sky and grass was filled with blue haze. They closed in each other. I heard MacKenzie's squeals. I heard the giggles. There was a loud WHAP! And total blue immersion! 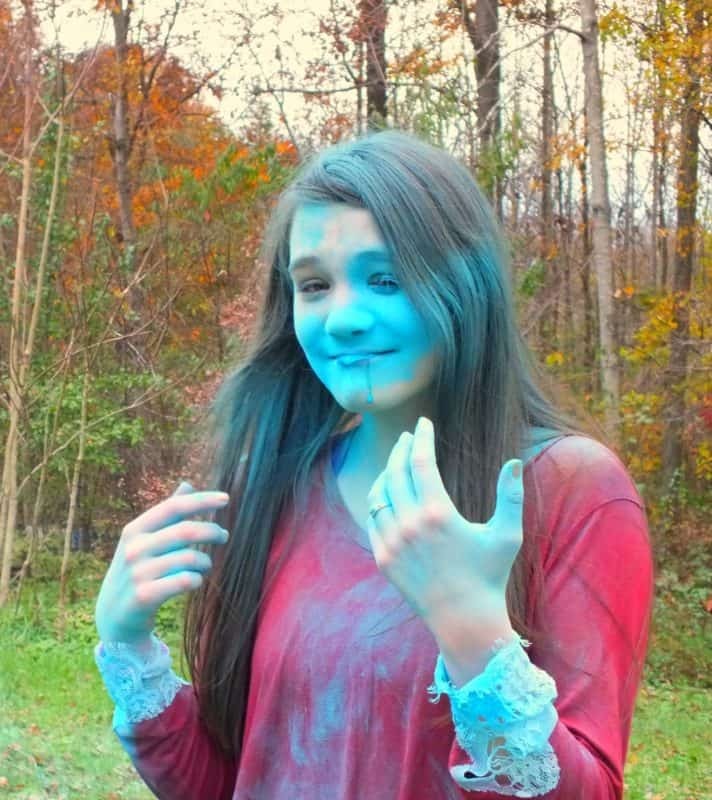 Slowly, MacKenzie emerged from the blue cloud. 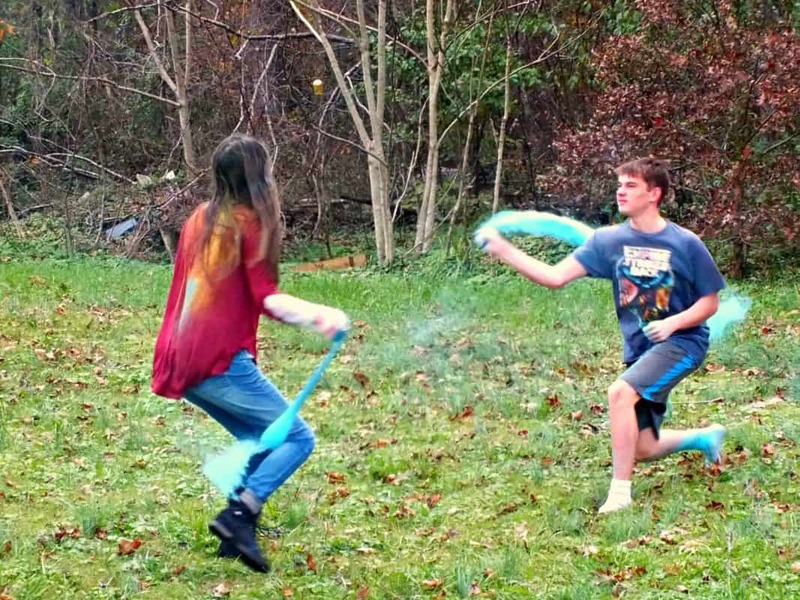 In the midst of the blue cloud, Cooper had swung. The stocking struck MacKenzie's shoulder and exploded! When the dust had settled, she moved her hair back. Her face a solid blue stripe. 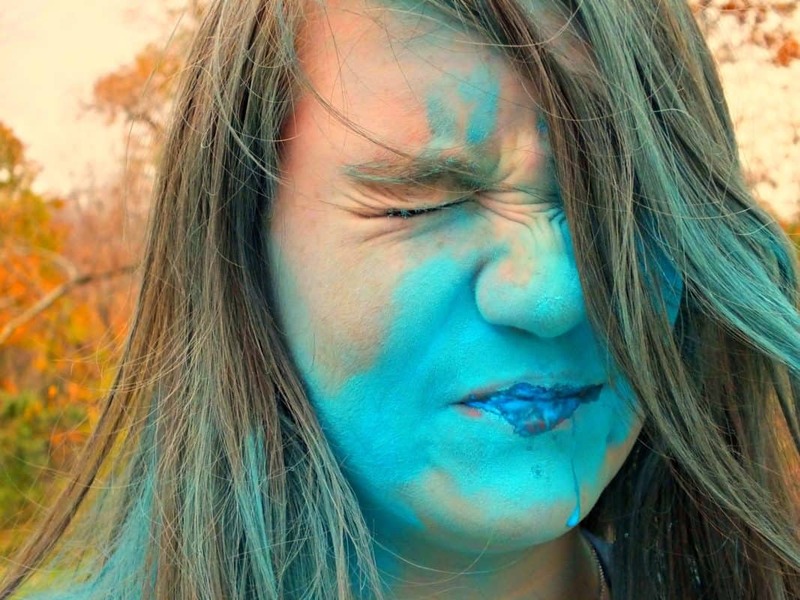 Her mouth and nose was filled with blue. Just Add Color is non-toxic, but I'm told it does not taste good! 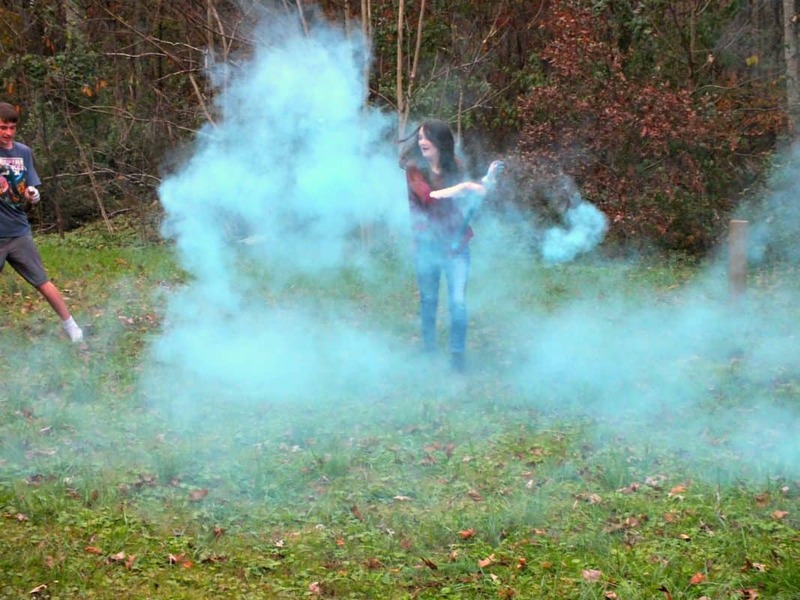 This colorful powder is made from non-toxic cornstarch with food-grade dyes. It’s safe to use with kids of all ages. Cooper checked in to make sure she was okay. There was an eruption of laughter from both of them as they gave their perspective of the epic battle. They declared this the BEST. Party. EVER. 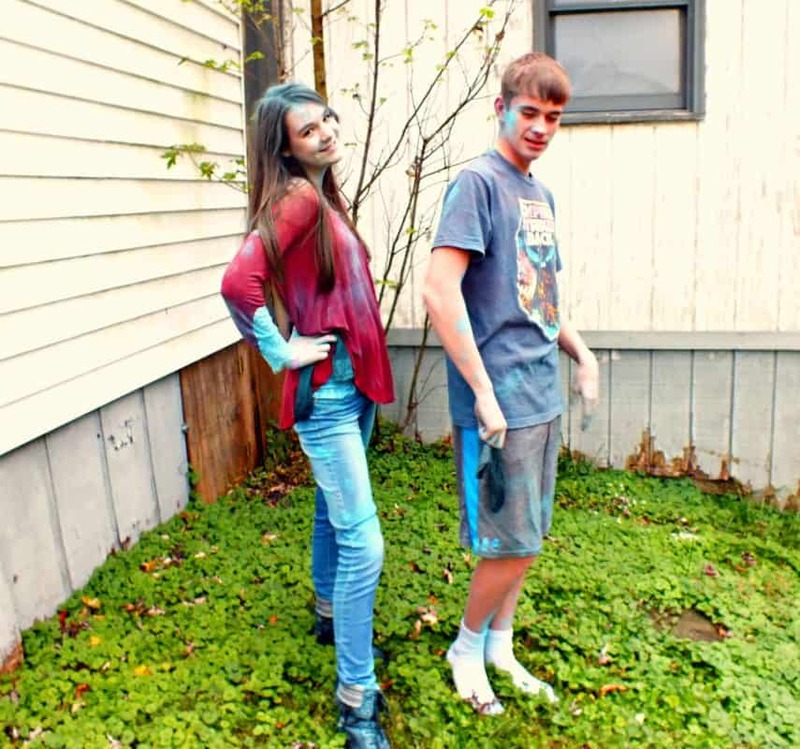 MacKenzie gave her signature pose, admitting defeat in the color battle. Cooper hammed it up as the victor. We love the Just Add Color party pack. Set up is quick and easy. It was insane fun. 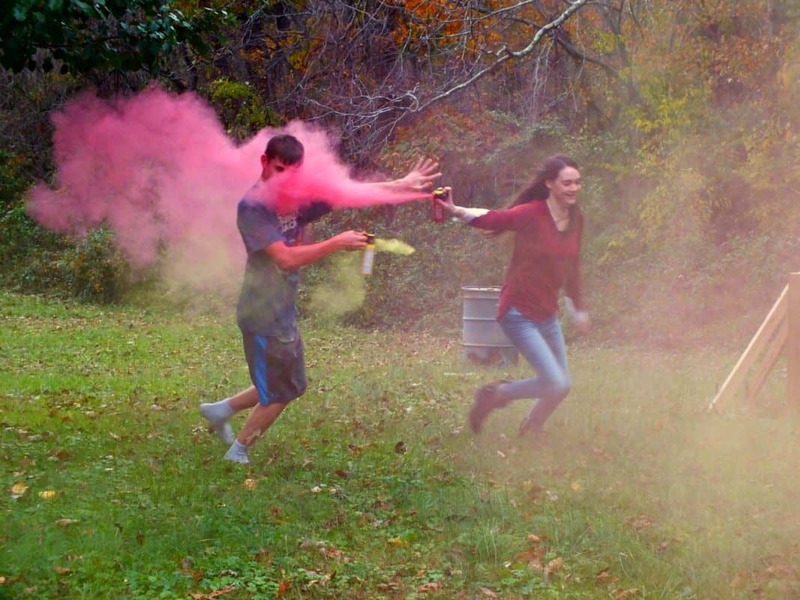 From filling the stockings and using the color blasters, to the chase and addition of color! 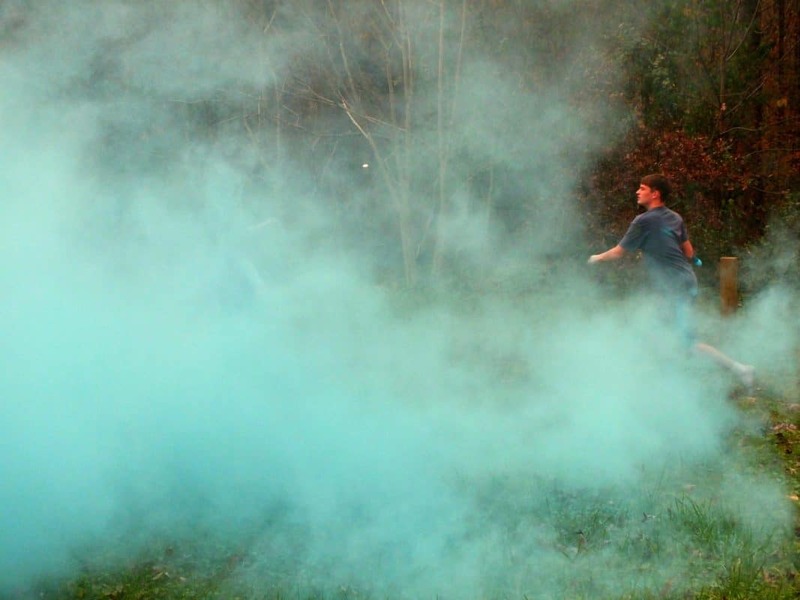 The lawn has a light blue dusting, that is easily cleaned up with a spritz of water (or rain). 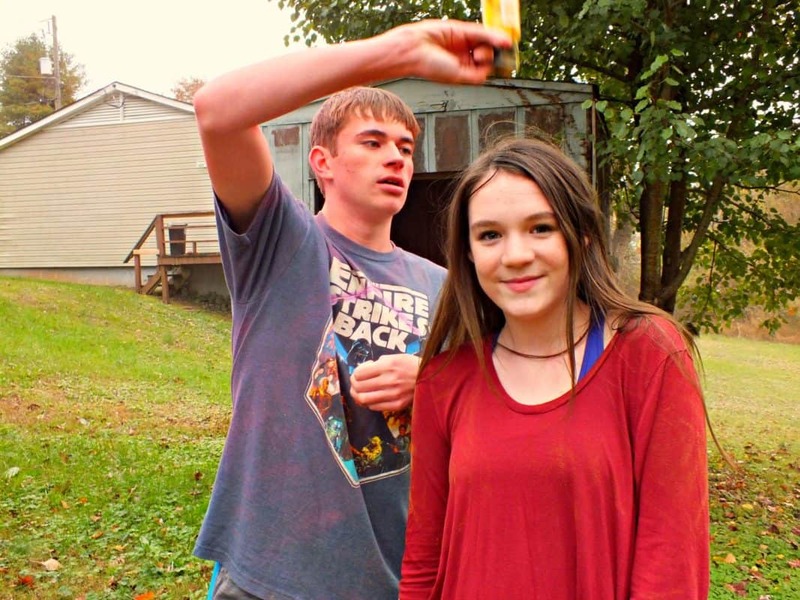 My husband used the blower to blow most of the color off the kids and then they showered. It was an incredible party with sneak attacks, strategic swings and in the end, it exploded leaving one player far more colorful than the other. 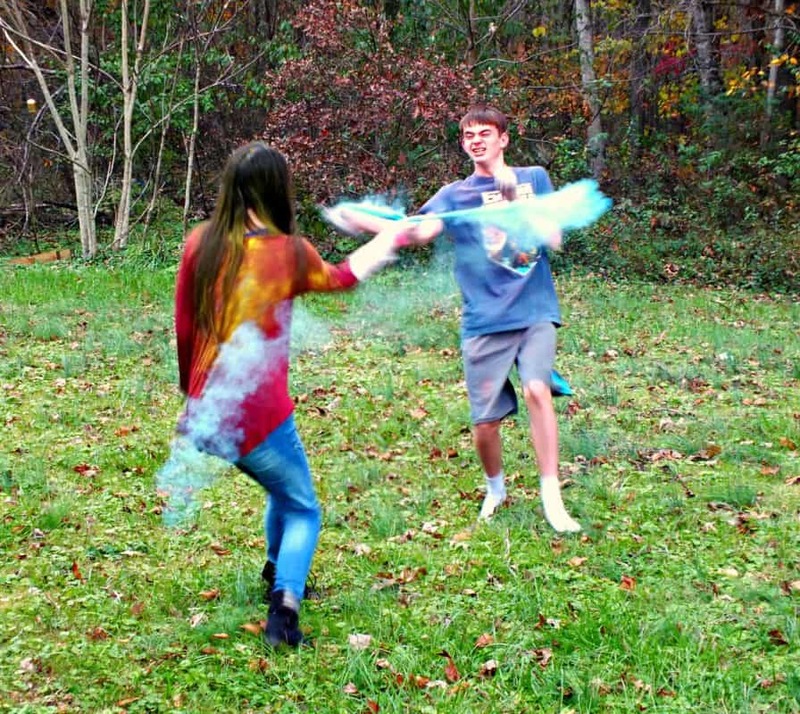 The kids can't wait to take on each other again with the other bags of color! 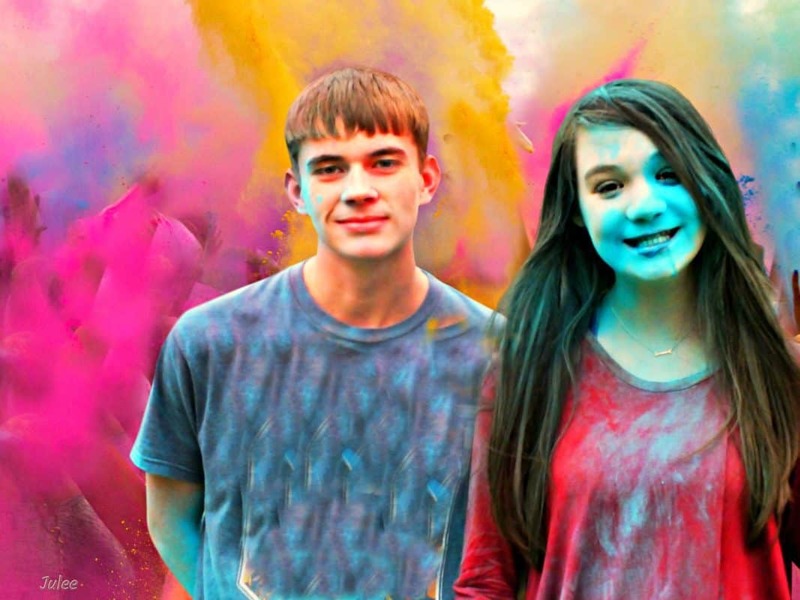 Find out more about hosting your own color party at JustAddColor! all you need for COLORFUL fun!